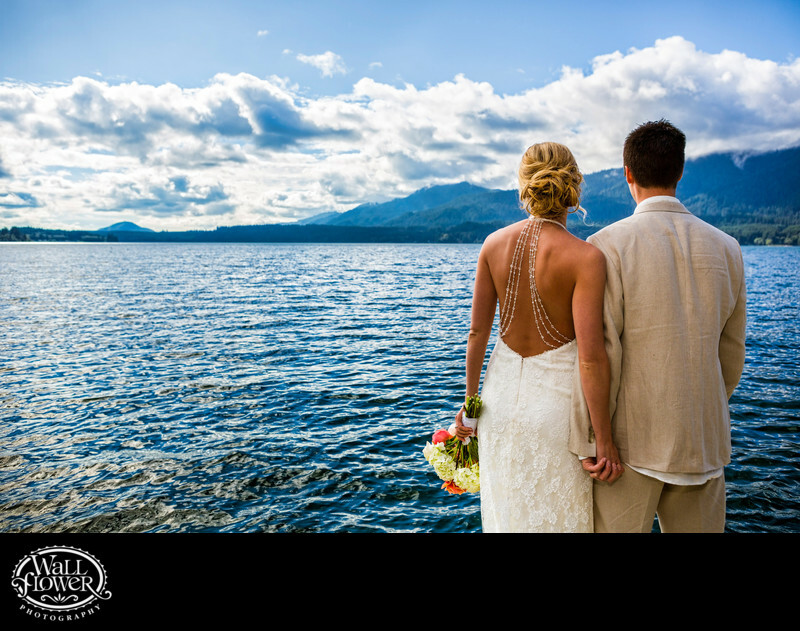 This bride and groom got married at the Lake Quinault Lodge in the Olympic National Park of Washington State. Afterward, we headed out by the water's edge for portraits. This quiet moment between the newlyweds shows off the lake's beauty, and also the back of the bride's dress, which she loved (and for good reason! ).